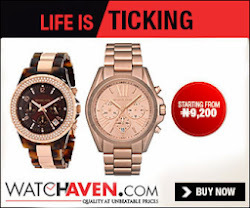 Seven suspected Boko Haram men alleged to have masterminded the attack on Ekklizivar Yan’uwa A Nigeria (EYN) Church in Biu, Borno State recently said they were paid N7, 000 each to carry out the attack which left no fewer than three worshipers dead. One of the seven suspects, Ibrahim Mohammed Babangida, who spoke with journalists from his custody said one Magaji Bala, a butcher paid N7, 500 to him as his engagement fee to carry out the dastard act. “I was sleeping in my house when Magaji called me and handed over N7,000 to me for the operation,” he said, even as one of the suspects also corroborated the claim. 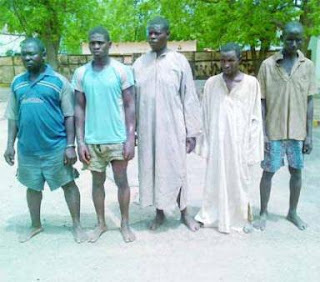 The suspects, Alhassan Inuwa, Ibrahim Mohammed Babangida, Magaji Bala, Nuhu Zakari, Dahiru Sa’adu, Mohammadu Nurah and Mohammed Sani told newsmen at the 21 Armoured Brigade in Maiduguri, the Borno State capital, yesterday that they were butchers by profession in Biu Market and were picked up in their different houses in Biu by the JTF operatives. The suspects also claimed to hail from Jigawa and Katsina states, adding that they came to Biu, about 187 kilometres to Maiduguri and South of Borno, to eke a living. Will you call this hunger or wickedness? See how haggard they are. These are the poor ones the wicked minds use to perpetuate their wickedness. See how wretched they look. They'll die in poverty.